According to an opposition party member, a homeless 70-year-old Singaporean has been forced to sleep at Henderson Hawker Centre after he was recently released from prison. Sharing the elderly Singaporean’s plight on social media, People’s Voice party member Brad Bowyer revealed that he was alerted to the senior citizen’s story by a friend and that he found out more when he visited the homeless man on Wednesday (20 Mar). “My wife and I were shocked when we heard of Mr Lim Kee Khoon’s story from a friend. 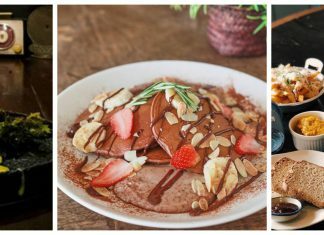 “I just spent the morning with him at Henderson Hawker Centre, where he has been sleeping rough for over 2 months, to get his story first hand and sharing a tasty pork rib soup, which he very much appreciated, and I am now sharing his story with you. “Mr Lim appears to be the victim of both poorly conceived rules and what I can only describe as institutionalized and systematic neglect. “Mr Lim used to live in a rental flat, which due to HDB rules he was forced to share with another elderly gentlemen whom he never knew. To make matters worse his flat mate had suffered a stroke earlier in his life and was now partially disabled and Mr Lim was forced to be both his defacto caretaker and carry the extra financial burden that came with it and nobody stepped in to help. “Out of stress and financial need Mr Lim committed a crime and was then imprisoned at the age of 63 for 10 years. Now released at age 70, out early for good behaviour, he has nowhere to go or to stay. Interestingly, Bowyer further alleged that Tanjong Pagar MP Joan Pereira and her grassroots team are aware of the elderly Singaporean’s situation but it appears “there is seemingly nothing she can do about it”. 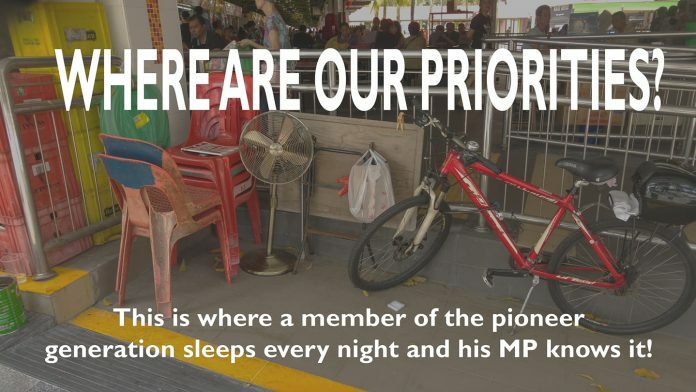 “His MP Joan Pereira knows of his case, her activists on the ground know of his case, the HDB knows of his case as do the Kreta Ayer Social Services centre and have done so for nearly a month yet still every night he falls asleep beside the market to rest as best he can while being bitten my mosquitoes and suffering the current heatwave. “From what he described everyone keeps quoting rules of why this or that can’t happen, there is nothing they can do or bouncing him from person to person and MP to agency while nothing is being done. It seems adhering rigidly to a system is more important than a member of the Pioneer generations urgent need, and the lack of humanity and basic care is staggering.